We have grown numb hearing the dry statistics of opioid-induced fatal drug overdoses. Sadly, we’ve now reached a point where media outlets reporting on the epidemic compare the number of annual deaths to vehicle accidents and gun violence to provide context. It’s been said the only thing new is the history you don’t know. Most of us don’t realize the first American opioid epidemic started in the Civil-war era with the invention of the hypodermic needle to administer morphine to injured soldiers. 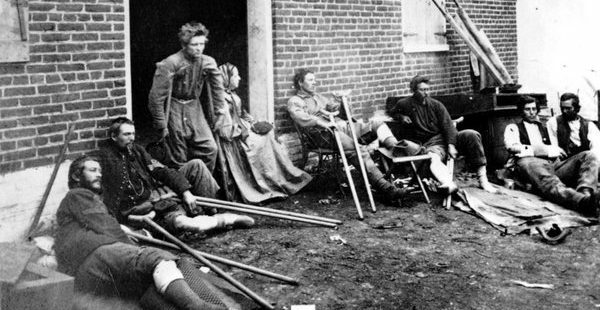 By the end of the conflict, the term “soldier’s disease” came into existence to describe post-war addicts. By the late 1800’s so-called patent medicines were marketed as “a cure for what ails you.” In one egregious example, pharmaceutical company Bayer sold cough syrup containing heroin. Anecdotal evidence of the time depicts everyday Americans dying from opioid overdoses. Does Adams’ observation sound familiar? It does to anyone addicted to prescription painkiller drugs who faces financial ruin, broken relationships, overdoses and the prospect of becoming a medical examiner’s statistic. One hundred years after the first opioid epidemic, tens of thousands of Americans are addicted to Purdue Pharma L.P.’s lucrative OxyContin. In 2007, company executives pleaded guilty to illegally marketing the pills as safe and non-addictive. It would appear we’ve learned nothing: despite growing awareness of the dangerously addictive properties of oxycodone, the active ingredient in OxyContin, annual sales in 2017 were a staggering $1.75 billion. What sets this current epidemic apart is the relationship between legal prescription pain medications and illicit alternatives including heroin and fentanyl. Drug dealers know prescription drug abusers form an instant, captive market for illegal drugs. As a former director of the Centers for Disease Control noted, legal and illegal opioid use are “intertwined.” This deadly scenario plays out throughout the country: as prescriptions become too difficult to fill, addicts find illegal alternatives on the street. If anyone wants to understand the opioid epidemic pick up a copy of “Dreamland” by Sam Quinones. Readers will quickly understand the nexus between prescription drugs and illegal heroin and fentanyl. The book’s title is derived from a small town in Ohio that illustrates how humans do not connect like they used to and how economic development challenges in rural America helped feed the opioid epidemic. Baltimore Magazine’s ground-breaking piece this summer, “Can Hagerstown kick its habit?” is Maryland’s version of Dreamland. I started Give America Hope to provide alternatives to “magic drugs” so patients and consumers can focus instead on the underlying conditions that cause self-destructive behavior. Unfortunately addiction is a lucrative market. Don’t be surprised if in a few months or a few years we’ve identified a new class of drugs killing people. We must stay ahead of the curve on identifying dangerous drugs and short-cuts to well-being. The best way to accomplish that is to create awareness of the traps that cause addiction. In addition to physical pain, mental health conditions including depression, anxiety, adverse childhood experiences and post-traumatic stress disorder conspire to cause addiction. So too do poverty, lack of education or job skills, and the resulting malaise that causes people to sit on the couch watching tabloid TV or text on their smart phone instead of actually interacting. Whether it is an addiction to alcohol, cocaine or opioids, we’ve struggled as a nation to end drug abuse and will for the foreseeable future. The first U.S. President to confront opioid abuse was Theodore Roosevelt who signed legislation leading to the creation of the Food and Drug Administration. Today policymakers are all over the place trying to solve the opioid crisis, ranging from arbitrarily reducing prescriptions to suing drugstores to imposing the death penalty on dealers. I have no idea if any of this will work. What I do know is that what’s missing in this country are solutions that give Americans the means to confront the demons that cause addiction and self-destructive behavior. Alternatives to drugs include healthy lifestyle choices and the belief that one’s perception of their own value goes a long way to addressing mental health challenges. We live in a country where opportunity exists. History does not always have to repeat itself. Join me in Giving America Hope. This article is adapted for MarylandReporter.com from the “President’s Message” to be posted on giveamericahope.org. Charlie Seymour, a long-time real estate developer based in Frederick, is the president and founder of Give America Hope. Great article. Substance abuse disorder has been around forever. We need to give people HOPE! The only positive that comes from this is recovery. It’s the gift of life!